Take a holiday in the UK! With the UK economy now officially in recession and the Pound recently breaking through the 1986 low of $1.37, it’s never been more expensive for us British to take a holiday abroad. The Pound has lost 35% of it’s purchasing power in less than a year. So I guess the days where we used to be able to go to the States, eating lavishly for £4 a go and stocking up on plenty of shopping and electronics are long past us. I’ve been staying in the UK and enjoying the sights here rather than going abroad. But Whilst the exchange rates have been terrible news for UK residents, my American friends have been over the moon. Everything in the UK is now at a 35% discount compared to last year which means there has never been a better time in recent memory to visit the UK. 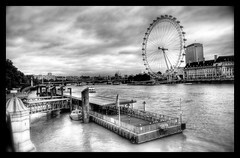 London must be one of the most amazing places in the world to visit. As somebody who has recently moved to the big city, I have loved every minute of being in London. There is never a shortage of things to do and see. The host of the 2012 Olympic games, London is also the home to the iconic Big Ben and the Houses of Parliament, the London Eye, Buckingham Palace, Trafalgar Square, the British Museum, the Tower of London, St. Paul’s Cathedral, Camden Market, Piccadilly Circus… And the list goes on. A short train journey from London, there are the wonderful historic university towns of Oxford and Cambridge. Go further North and you’ve got the wonderful Scottish capital, Edinburgh (which I’m going to this weekend!) There are also some wonderful places to go hiking in England – the Seven Sisters country park is a short train journey from London. 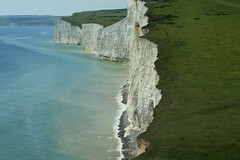 I did the day hike from Seaford to Eastbourne along the coast. It’s a wonderful day-long hike with some wonderful sights. This entry was posted in UK by Ken. Bookmark the permalink.